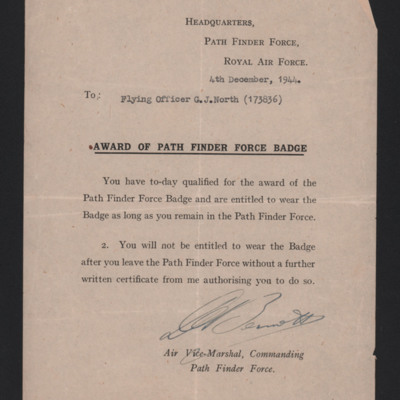 Letter from Headquarters Pathfinder Force to Flying Officer G J North that he has qualified for the award of the path finder Force badge. Notes that badge can only be worn while he remains in Pathfinder force. Signed by Donald Bennett.